Antony was admitted to the Ram Manohar Lohia Hospital in New Delhi after he reportedly suffered a minor brain haemorrhage after he fell down at his home. NEW DELHI: Former defence minister A K Antony, who suffered a "minor" brain haemorrhage at his home yesterday, will undergo surgery at Ram Manohar Lohia Hospital in New Delhi, the hospital authorities said today. A team of neurosurgeons held a meeting today and decided to conduct surgery on Antony, who is now undergoing conservative treatment as the doctors needed time to decide their next course of action. Conservative management is a type of treatment in which doctors avoid invasive measures such as surgery, usually with the intent to preserve function or body. Antony, 76, was admitted to the RML hospital after he "suffered a minor brain haemorrhage after he fell down at his home," a hospital doctor said on condition of anonymity. The senior Congress leader from Kerala was the defence minister during the previous UPA government. He served in that position for nearly seven-and-a-half years, the longest for an Indian defence minister. Earlier this month, he had criticised the Centre for not accommodating the Rohingya refugees, who were escaping persecution in Myanmar, and cited the example of former prime minister Indira Gandhi who "insisted on protecting" refugees from Bangladesh. 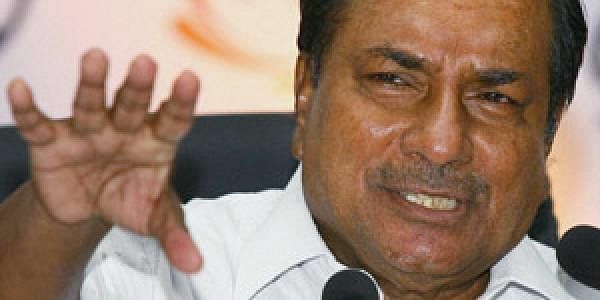 "When more than one crore refugees came to India from Bangladesh in the 70s, former prime minister Indira Gandhi insisted on protecting them by disregarding the mighty seventh fleet of the US," Antony had said, speaking at the launch of the Kerala Union of Working Journalists, Delhi.